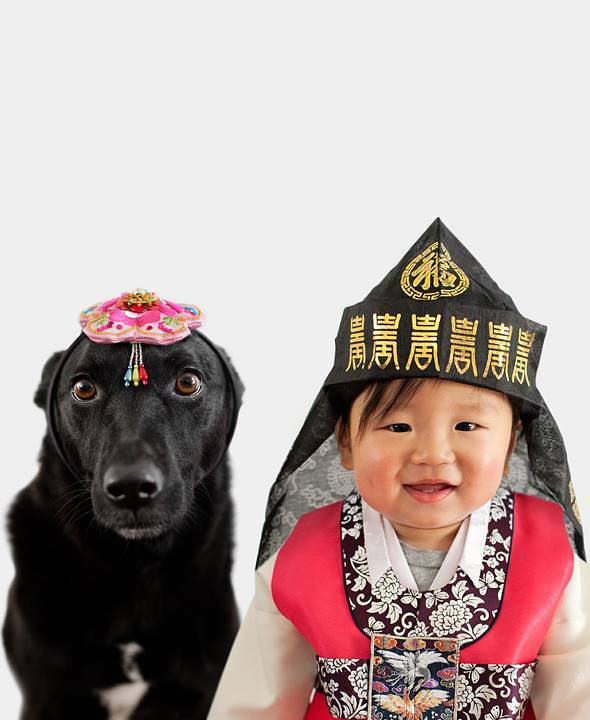 Jasper is a cute 10 month old Chinese-Korean boy who lives in Los Angeles. 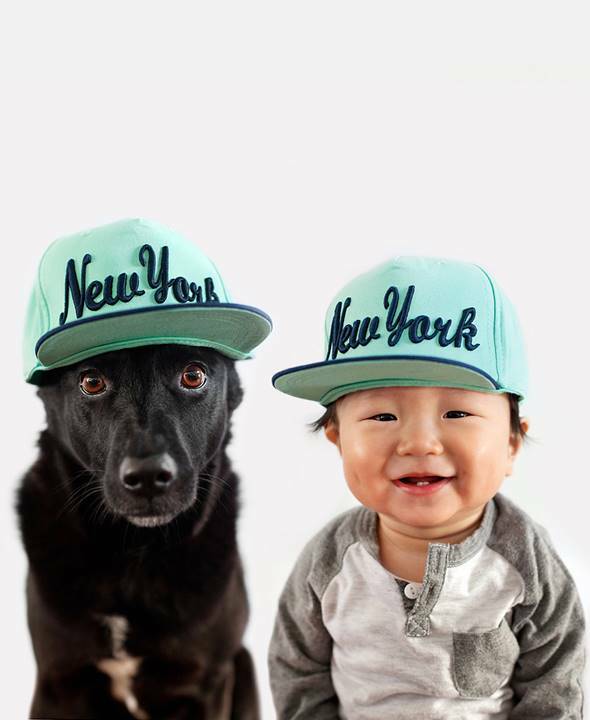 He love going for walks, eating pancakes,meatballs, yogurt, oatmeal, cereal (sometimes all together), and his best furry friends Maeby and Zoey. 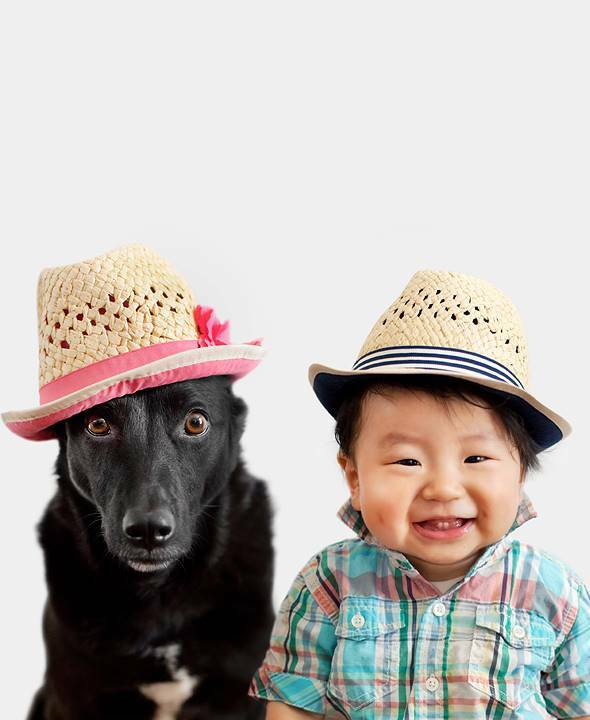 Zoey is a 7 years old rescue dog from Taiwan. 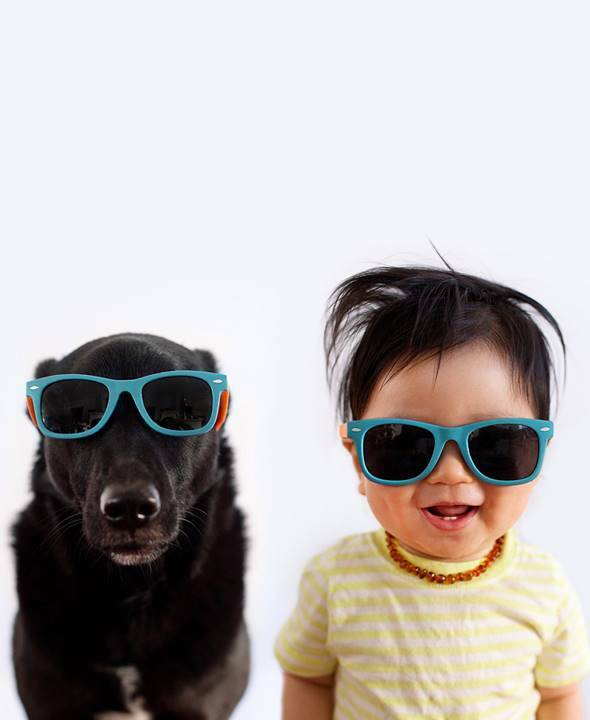 She loves playing fetch with her toy squirrel, hiking, eating crumbs off the floor, and Jasper. 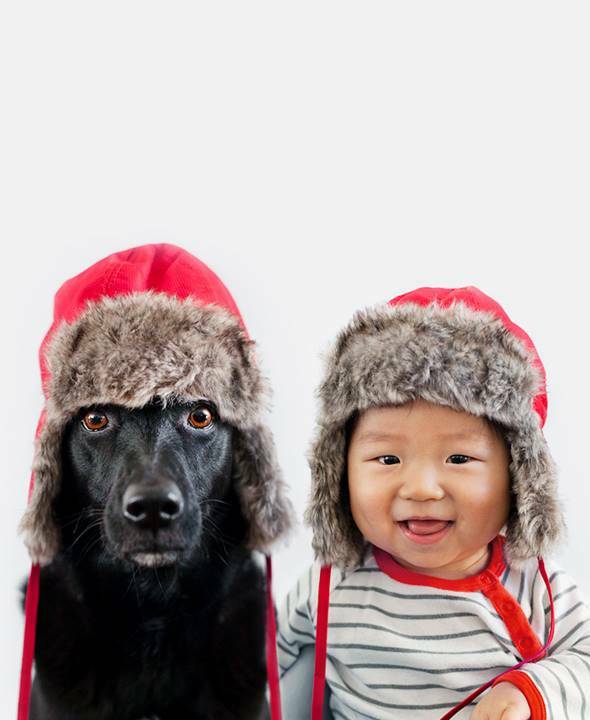 Jasper and Zoey are lovely friends. 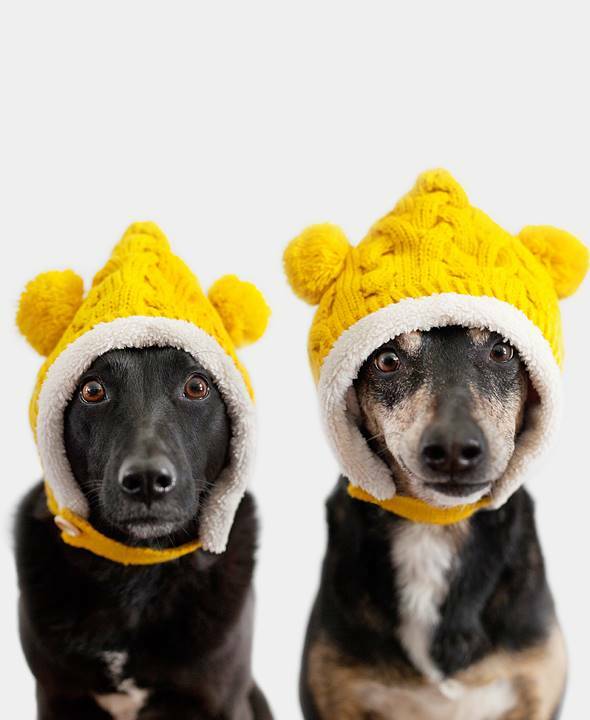 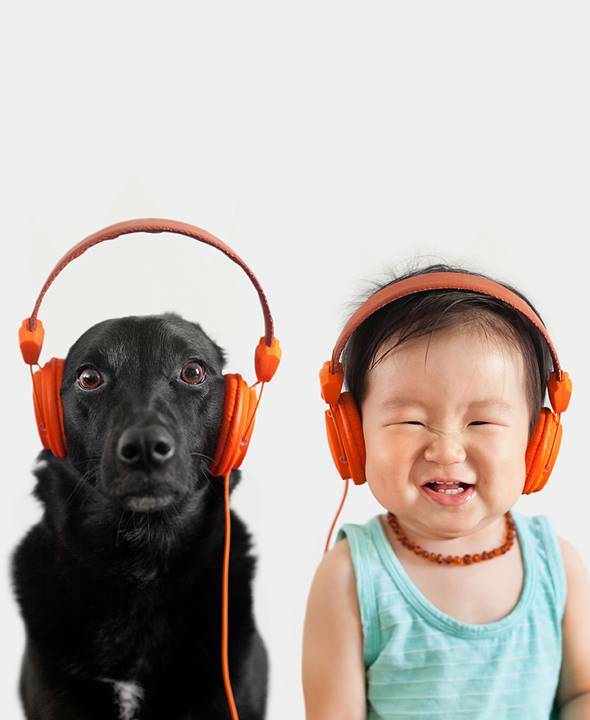 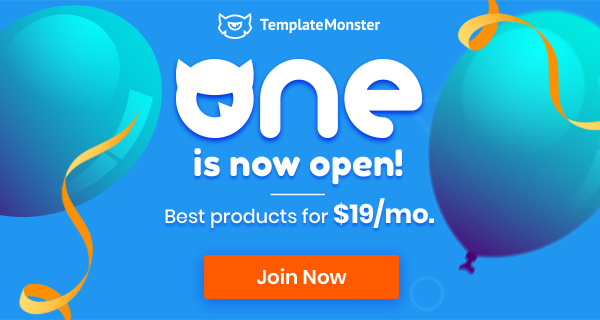 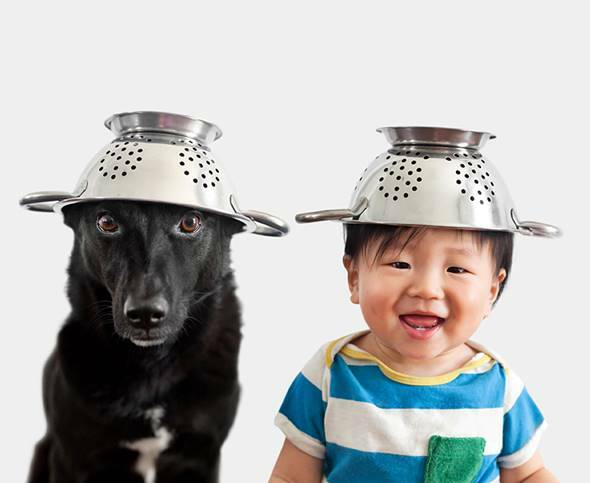 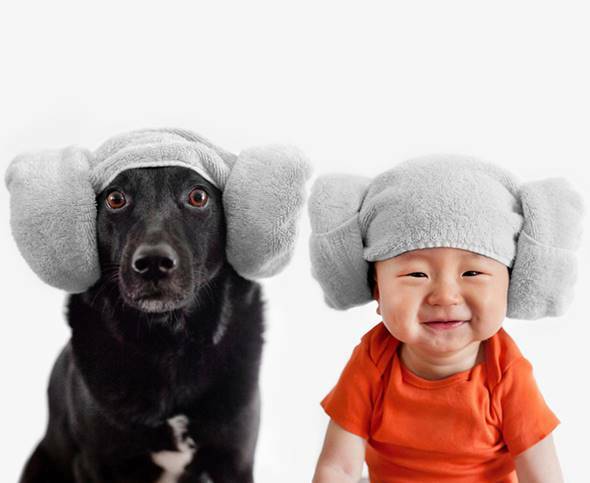 Zoey and Jasper’s mother who is a commercial photographer specializing in animals, lifestyle images, and celebrities with their pets has a creative and funny idea to take the photos for both of them. 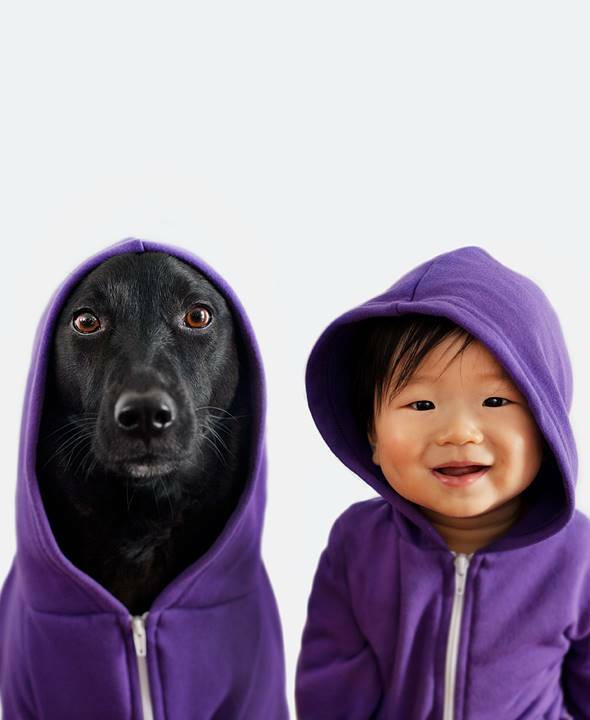 In these wonderful photos Jasper and Zoey share the same costumes and pose front of the camera together. 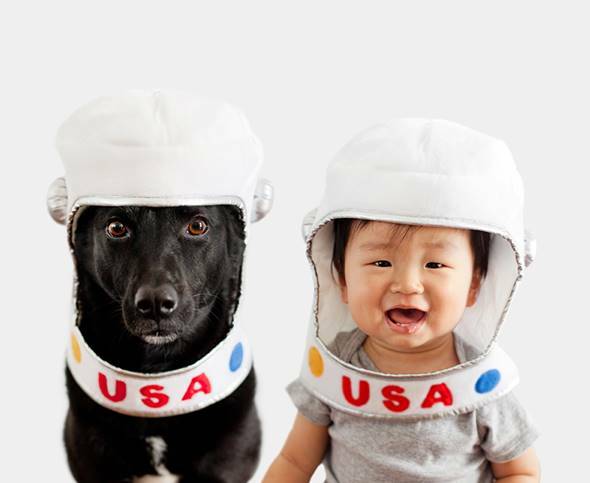 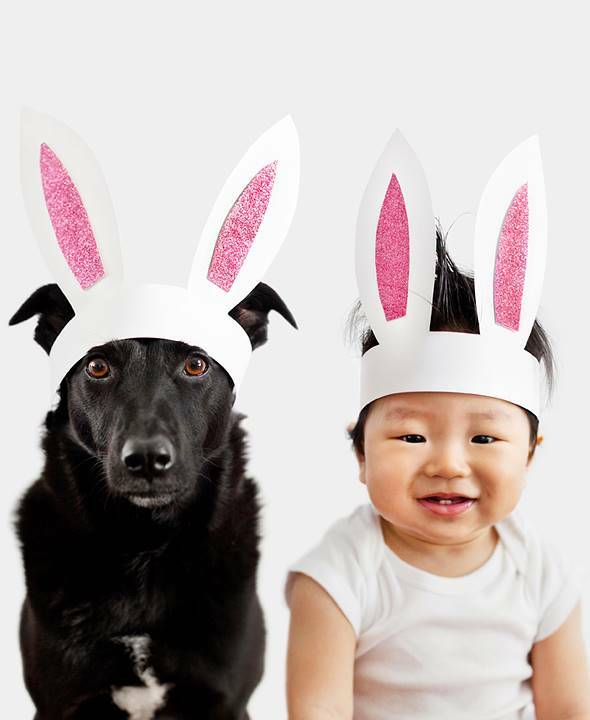 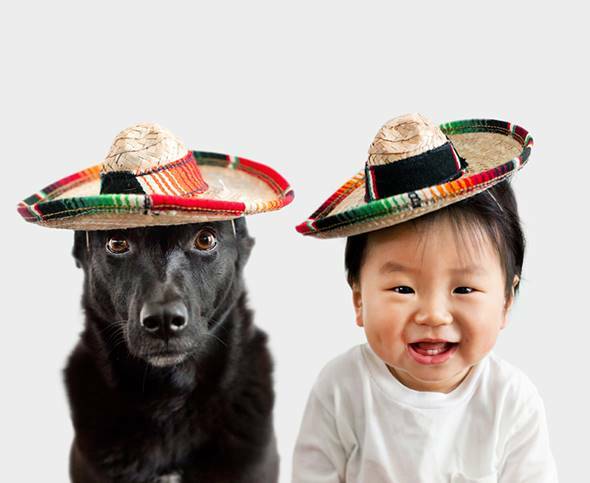 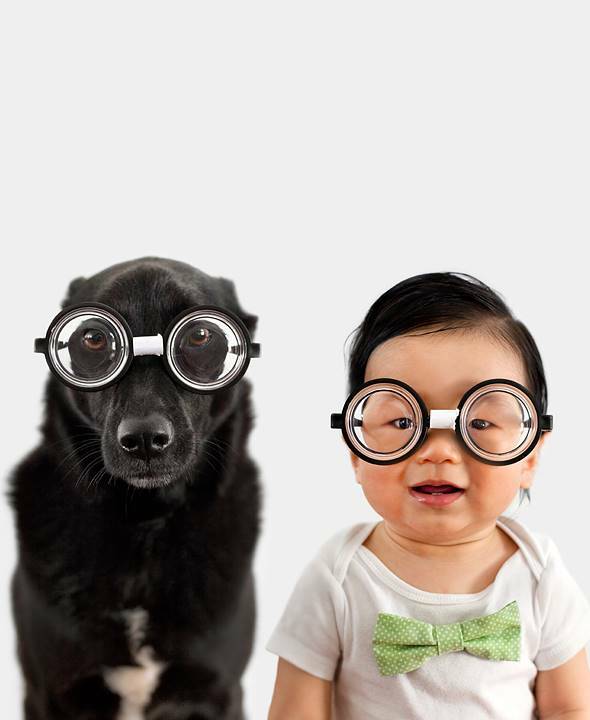 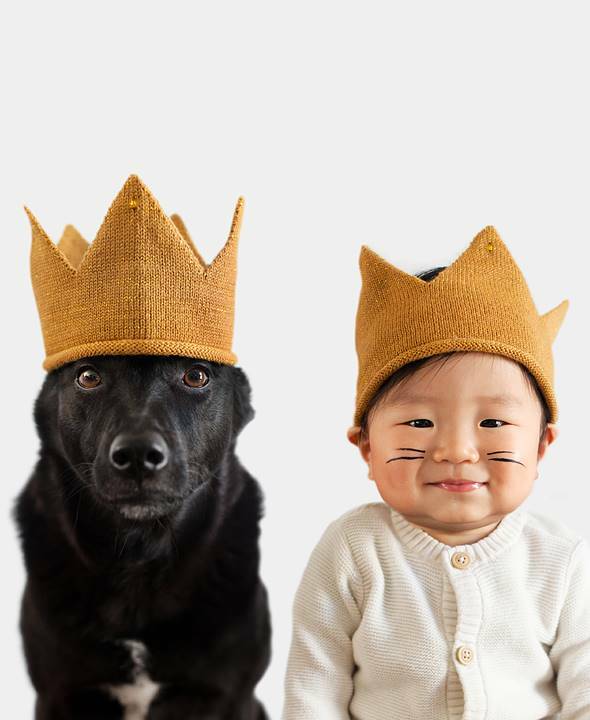 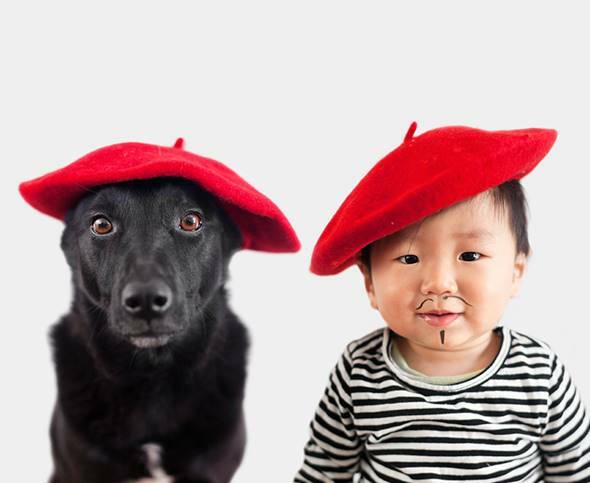 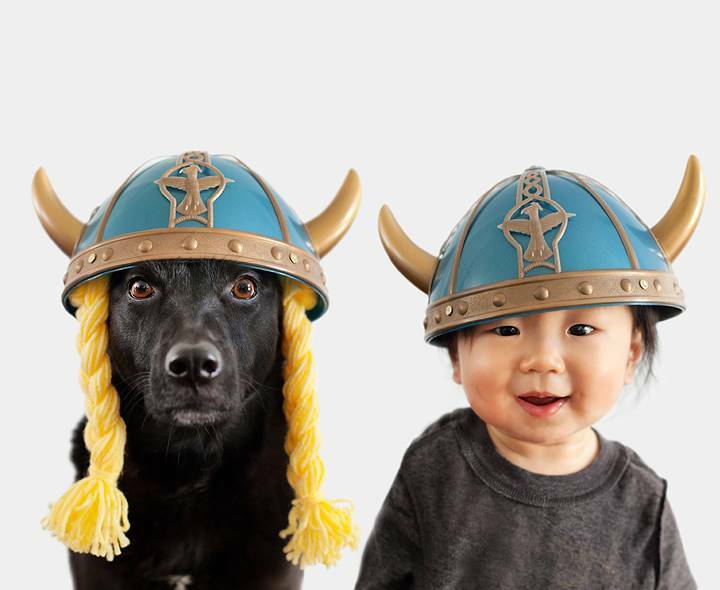 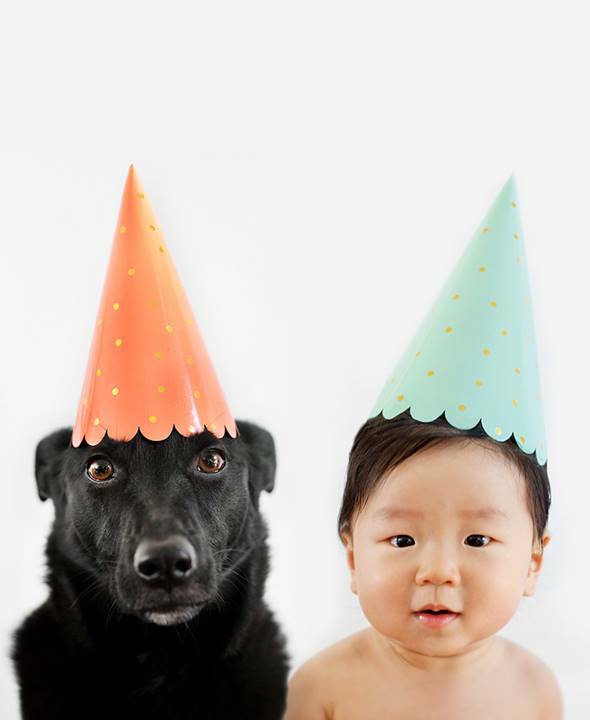 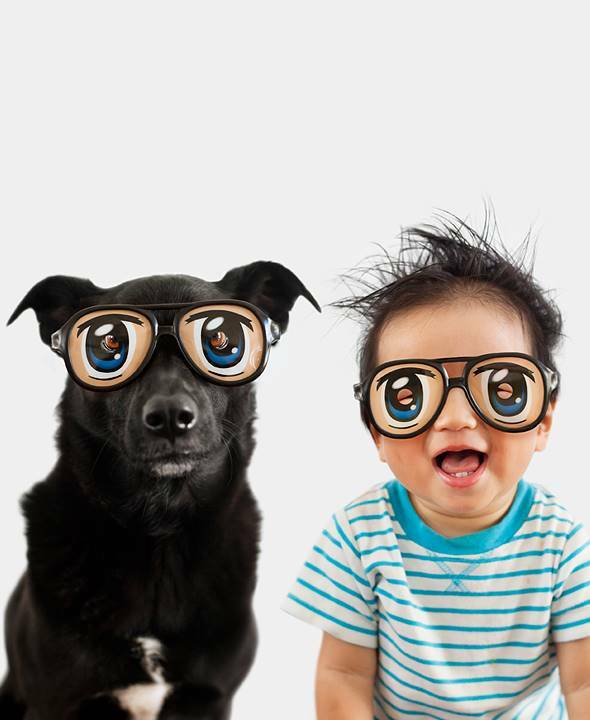 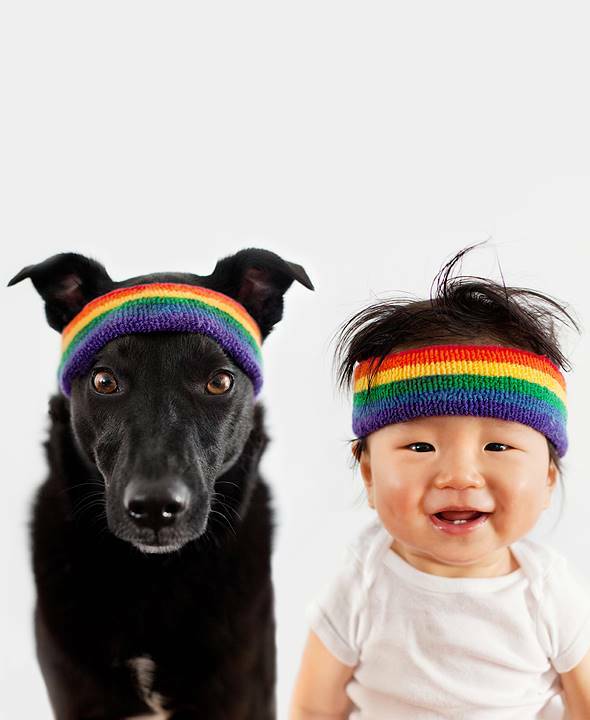 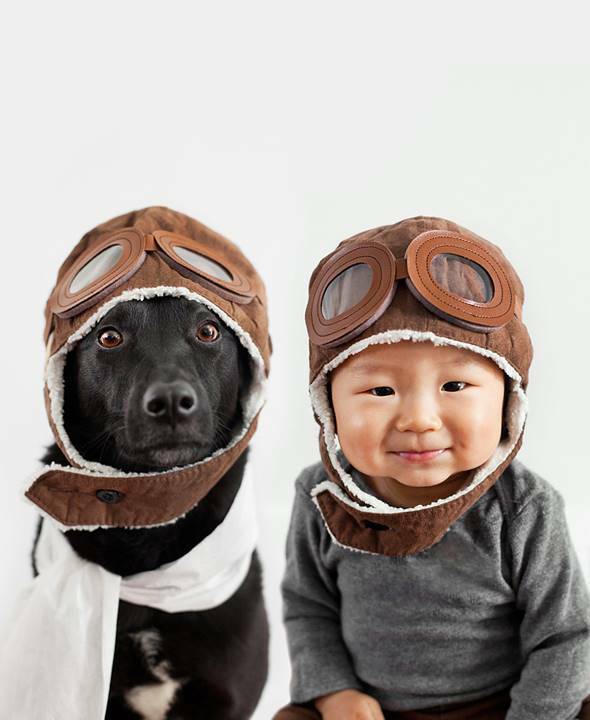 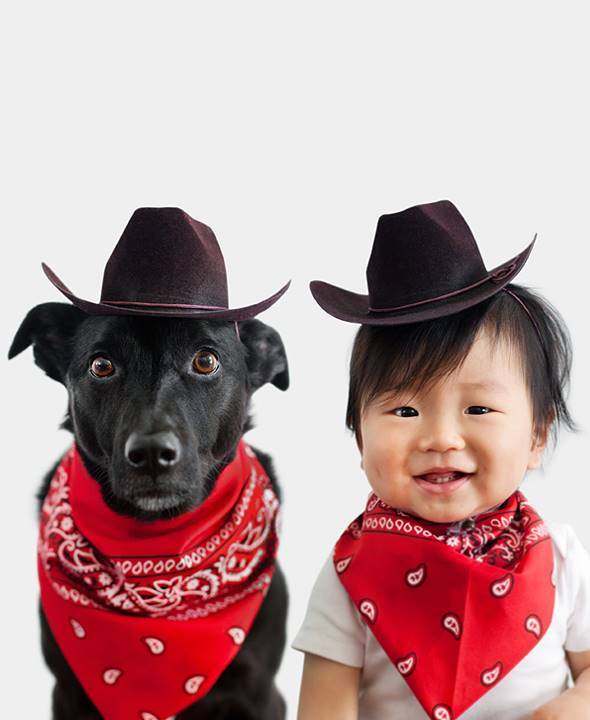 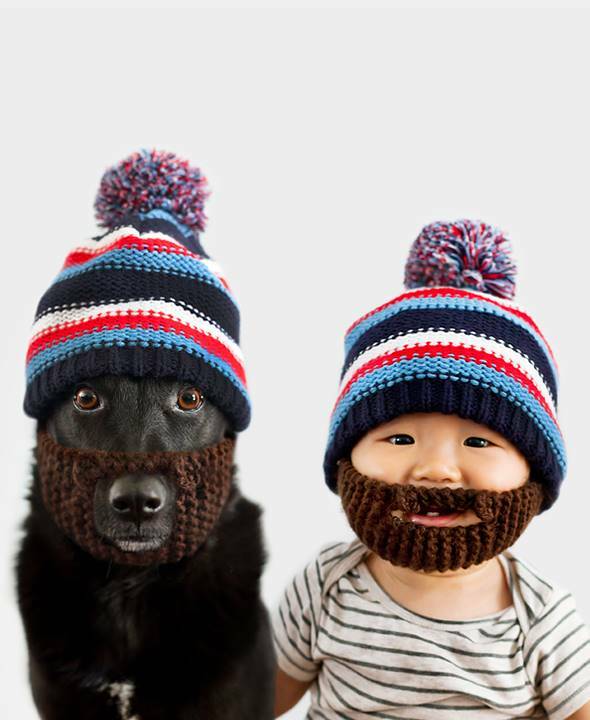 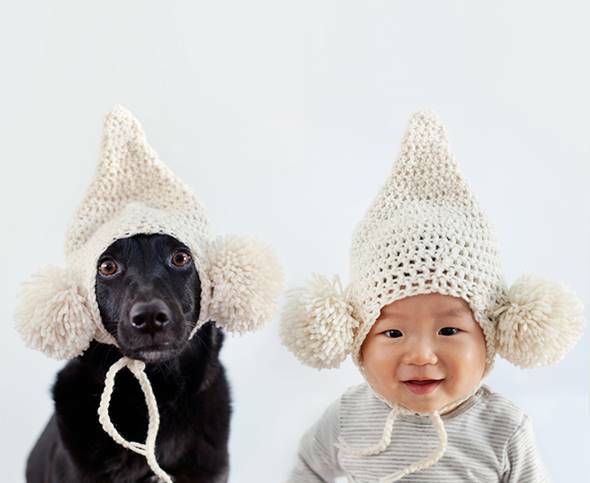 Check the Cute Photos of a Baby and a Dog Sharing The Same Costumes “Jasper and Zoey” out to have joyful time!